The first event after the death of Christ in Matthew’s gospel is the curtain of the temple being torn in two. This fabric veil separated the Holy of Holies from the rest of the sanctuary. It symbolised the unapproachability of God. The direction of the tear; from top to bottom indicated the work, not of man, but of God. This divine act opened heaven to man through the royal priesthood of the Christ who had died as the final and full sacrifice for sin. 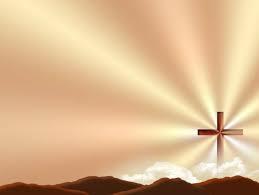 The power of the cross is clearly seen in providing direct access to God. The shaking earth and splitting rocks reflect the power of Christ’s work of renewal for all creation. Not only was God restoring a people fit for heaven, in Christ he would remove the curse of the Fall from the land. There would be a new heaven and a new earth where Christ, the Risen Lord and Saviour would live forever with His bride, the church. Perhaps the most mysterious of the events just following the death of Christ was the breaking open of the tombs of many holy people who had previously died and who were then raised to life. These resurrected saints were then seen by many in Jerusalem. Likely they left their tombs at the moment of Christ’s death, but did not enter into Jerusalem to appear to many until after his resurrection three days later. There is no way of knowing who these saints were or whether they died again or were translated directly to heaven in already glorified bodies. What is clear is that this was prophetic sign of the general bodily resurrection to come. The power of the cross is seen in the resurrection of holy ones set apart by God to benefit from the life, death and resurrection of His Son. The power of the cross is seen in the effect on a person of observing the death of Jesus. For some they see nothing more than a broken, insignificant man, one of many crucified in the sad course of human history. For others, they see that He truly was the Son of God, who died so that all who put their trust in Him would receive the gift of life forever. How are you affected by the death of Jesus?